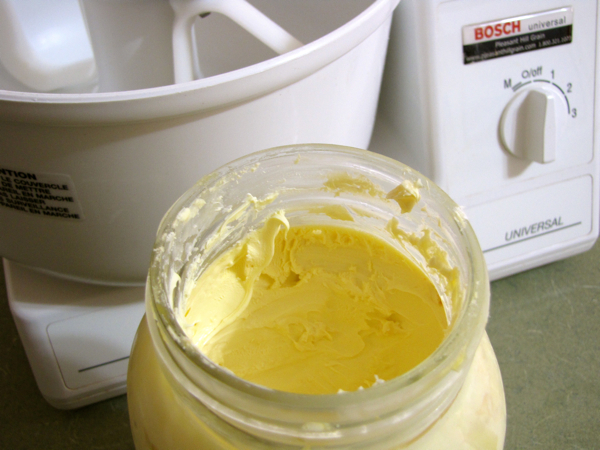 I'm at my friend Shannon's Nourishing Days blog today, sharing how I make a big batch of cultured butter. How is this different than my cultured butter in the food processor? 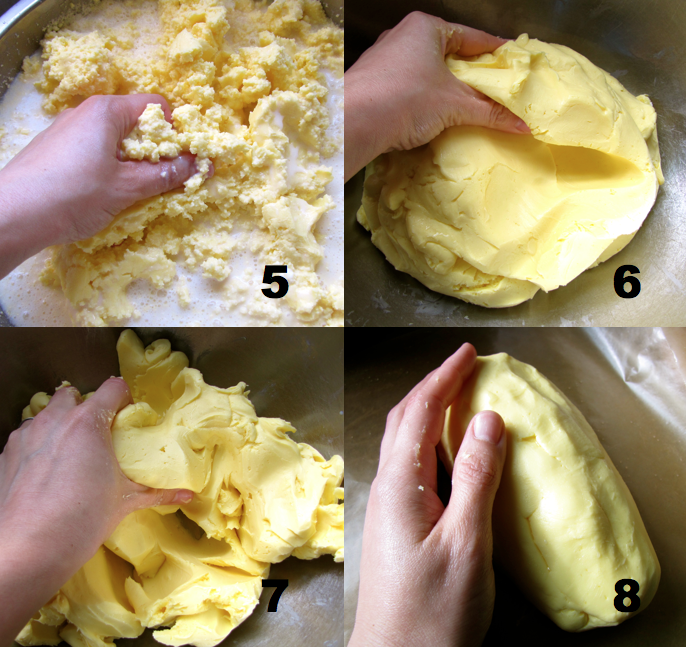 For one, it is a bigger batch, like 7 to 8 times bigger — instead of yielding 1 pound of butter, I get between 7 and 8. I like this because I can make more butter less often which equals less work. 🙂 I also employ another time saver — culturing the cream while it's still in the milk, as you've seen in this video. I'm grateful to Marci from Amazing Graze Farm Store, who told me about using a mixer to increase how much cream I could culture into butter. It is really easy and saves alot of time. Thanks, Marci! Visit Nourishing Days to read the whole post. While you're there, do catch up with Shannon and her family, who just moved to land in the south and are completely starting from scratch on an off-grid homestead. I love reading her inspiring, thoughtful and honest reflections. I’ve been looking into seasoning some cast iron I bought second hand. I scrubbed them down with sand-paper (I scrubbed down to the iron some places, but not completely), greased them with high grade extra virgin olive oil, wiped off, and placed them upside down in my oven at 520 Fahrenheit. After about an hour, there was no more smoke or odour and I switched off, letting them cool in oven (right now). Does this sound like a good first seasoning? Would you continue with olive oil or buy flaxseed and continue with that? I hope I don’t need to remove the olive oil coating. I did not scrub tge pans on the outside, but allowed a thin layer of oil on the sides. But not on the bottom. Why is that important? I was just thinking it might go funny when I cook on my glass induction top…?